I have worked in the tourism industry for the past 8 years. After getting my degree in tourism, I started travelling to different countries all over the world. Traveling I met incredible people, I observed magical landscapes, I tasted local food and I learned a lot about life. I was born in Buenos Aires, but I lived in Chile, specifically in Torres del Paine, in Chilean Patagonia and I consider Chile my second home. 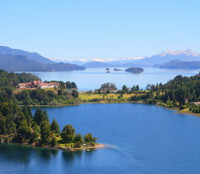 I have travelled through its extensive geography and appreciated the best contrasts in this country, I can share with you the most beautiful places that Chile has to offer. 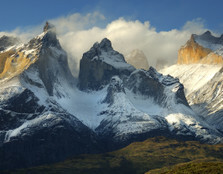 My favorite highlights in Chile are Torres del Paine and Atacama Desert. I love hiking, local food, wildlife, outdoors activities and learn every day more about each place. I love South America, and I hope you can love it as I do. The landscapes, the people, the food, the local wine and the passions that we have. 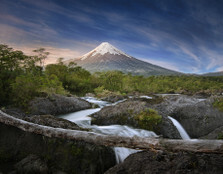 I hope to help you to experience Chile and that my knowledge helps you to design a trip that you will remember forever. Hiking, wildlife, nature and local culture. This review is for Lujan. 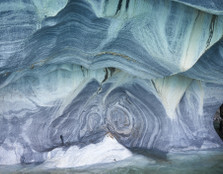 The tour took in a number of Argentina's highlights and cultural attractions. 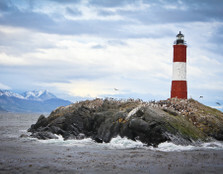 Patagonia was the prime destination for the wilderness / wildlife / hiking experience. Then Iguazu Falls and the national park on the Argentinian and Brazil sides. We were not disappointed by any aspect of the tour. Lujan was legendary throughout and patiently managed a number of changes to our itinerary prior to and during the trip - including the uncertainty of sub-load flights - one of which saw us arrive two hours late at Iguazu. If Lujan is representative of the Trip.me group then we have no hesitation recommending the service. It's a package deal and we thought the cost reasonable with security and comfort in mind. We took the cheap accommodation option and really enjoyed the less formal interactions with staff. Nothing was too much trouble - staff went out of their way to help us where needed. We found our guides and drivers professional and knowledgeable. In particular the riskier activities were managed with a high degree of safety mindedness - but fun all the same. As former / airline staff our expectations were met. We were very impressed by the service offered by Lujan, from helping us plan our trip to arranging accommodation, flights, transfers and excursions. Everything went completely without hitch. I spent a lot of time planning this trip with many interruptions due to family illness. Lujan was patient and always available to help. 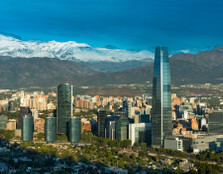 Lujan organised a trip for my family and myself for 4 weeks in Argentina and Chile. She was awesome. She was willing to help with any queries we had and was happy to look outside her usual itineraries to make our trip even more amazing. She booked with Eco Domes to do the W Trek, which she does not usually do (a highlight of the trip). She always responded promptly - she was 5 star. 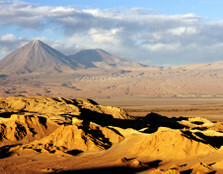 During the whole month there was really only one criticism that we had - the transfers from Calama Airport were 2 hours late, the staff on the ground were extremely unhelpful and the driving was not good. I believe that Lujan should change transfer companies at Calama as the service was appalling. Otherwise everything was brilliant. Highly recommend Lujan. Lujan is more than professional, helpful, active, prompt, detail-minded ... and all positive adjectives you can think of. Starting from considering to book through Trip.me, Lujan showed us high level of customer service which won our trust. We come from Hong Kong, where Argentina & Chile are unpopular destinations so we knew little about the countries, nothing of Trip.me. Plus, the idea of spending USD9000+ over a few clicks was already nerve-wracking enough. But, Lujan was apparently very experienced. She gave us enough information to decide on our destinations. She then helped us to customise a PERFECT honeymoon itinerary. Based on our interests, Lujan allowed us to pick our activities and offered us her opinion over safety / feasibility (time, money...) / popularity. She basically organised everything - from transportation to accommodation, from local tour booking to domestic flight booking - we only needed to grab our passports and depart. Lujan was responsive throughout the whole planning process and even during the trip ! She is just a serious agent who remembers/records our preference. We didn't have to repeat anything which made the communication first class. Not to mention the efforts she made to book us the hotel we wanted ... She is simply the BEST AGENT we encountered. As for the trip, it is just what we wanted. 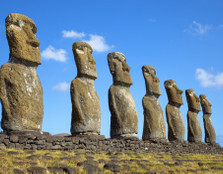 We got to see different cultures (food, dance, music), interesting fauna in S.A., stunning landscapes...We visited some of the best places of the countries, including the Haberton Ranch (where we got close to the penguins), Perito Moreno Glacier & Rano Raraku of Easter Island (the quarry where moai were carved). Interestingly, in Tierra del Fuego, we met another couple from Canada. They were also on honeymoon and the wife also found this platform and made their booking. 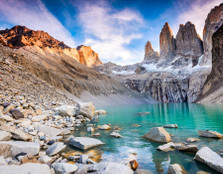 Well, we gotta say, Trip.me / Lujan will absolutely be our first choice when we get to revisit the beautiful Argentina. Just that there was an incident where we spent 2 hours going from Argentina border to Puerto Natales of Chile. We waited in a cafe for 2 hours. They even had their kitchen closed, which was a bit scary, in the middle of nowhere, because there are only one/two cafe(s) at the border). Luckily, 10 minutes after we emailed the service agent (which the wait had already been 1.5 hours) they got back providing a news about the driver. Not the fault of Lujan's, but just a minor unexpected event to share. All in all, this trip is absolutely amazing, and a life-long memory for us. Thank you, Lujan, and thank Trip.me ! Lujan was very patient working with us to find the perfect itinirary. I would recommend her services. We took the time to go meet her when we passed through her city to thank her personally. Her advise is great. Our trip was excellently organized. The timings, internal flights, pick ups, events, accommodation all were really excellent. 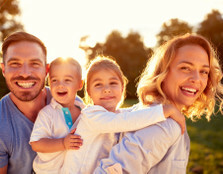 We are international travels and have lived abroad for years and this was the best trip from organizational point of view we have ever taken in over 50 years of international travel! The booking process with Lujan was very easy. She was patient and flexible and very well organized. She understood our need for some independence and worked with us to satisfy our needs. 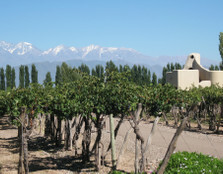 She also signed us up for Argentine Experience, which we probably never would have chosen, but we enjoyed it very much. Our favorite excursion was the Iguazu Falls, both sides. Our guides at the Falls, René and Javier, were excellent, and the Falls speak (roar) for themselves. We will never forget how powerful and magnificent they are. Marcela, our tour guide in BA, was outstanding because she told little stories and history to fit the sites. We were disappointed in the trip to the mission and the mine, mostly because we were almost 8 hours in the van and far less than that at the sites. We enjoyed the trip to the estancia and the horses in spite of the mud. Martin gave us a good intro to BA the first day we arrived, and it was good to see him again on our last day. We will be happy to recommend your company to friends and relatives. Excellent local knowledge and close attention to detail before and throughout the trip. In my opinion Lujan is a very professional agent. She built us a tour according to our demands and provided me with a feeling that there is somebody who cares. We just returned from 18 day trip to Argentina. We’ve arrived to Buenos Aires and travelled to El Calafate, then to Salta province, then to Iguazu and back to BA. 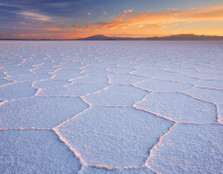 Lujan made plenty of interesting suggestions, and created an excellent itinerary for us. Despite our time difference, the emails were answered quickly, and our questions and concerns were promptly addressed. Our transfers and excursion pickups were always on time, and generally the quality of the local services and hotels was very good. This was one of our best travels, and we are grateful to Lujan for helping us. Our trip was planned perfectly, and importantly, it was seamless. Lujan designed us a 12 day tour "Best of Argentina". All the arrangements were smooth. She answered quickly to thousands of our questions before our trip and gave us very useful hints. We are happy to use local experts! Lujan did a great job organizing our group of 5 both before and during our trip. She helped also helped us out with questions about money, clothes, etc. We would recommend her without hesitation. We got what we expected, were always met at our various destinations and had knowledgeable guides. The hotels were mostly above our expectations. Lujan is amazing, when we first came into contact I was skeptical of giving money to someone ive never met before however now that the trip us over and I reflect back, Lujàn took care of every detail and delivered everything she said she would. As a solo traveller through patagonia who didn't know the language I would call if an issue or misunderstanding arose and she always took care of it. I give her 5 stars. Lujan was very responsive and helpful. The only issue we had was that some of our scheduling was over ambitious meaning that we didn't factor in enough down time between adventures. Thank you, Lujan! Together we were able to customize an individual itinerary perfectly matching my tastes, timing, and finances. Though I have changed my plans more than once, there were no problems in communication whatsoever. As a result this 5-day trip to Iguazu Falls and Patagonia (El Calafate) became a true highlight of my Argentinian vacation. The choice of flights, hotels, tours was excellent. There was not a single problem, it worked amazingly well in every detail! I wish Lujan all the best, and highly recommend her to others. 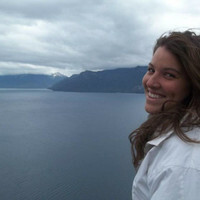 Being a solo traveler I had researched possible options for organizing accommodation and places to visit in South America and came upon trip.me via the Solo traveler web site. The thing that interested me was the local knowledge, and support of the local industry. Lujan responded to every email I wrote and answered all my inquiries within a few days. Being halfway around the world provided its own challenges to communication. The accommodations B&B style were all of very good to excellent quality each having a unique benefit, eg prompt laundry service in-house or walking distance to town. Lujan provided me with a range of travel experiences air and bus, worked hard to get my accommodation sorted on the W trek in Patagonia as I had left arrangements a little late. When I had a minor meltdown in Puerto Natales being unsure about my bus ticket Lujan phoned my accommodation within half an hour of my email to reassure me. I recently completed a holiday that was organised by Lujan . I wish I could provide her with 7 stars not 5 as per this review. Every email sent to her while organising this trip (with many changes of my mind) was never an inconvenience to her, she was always willing and able and keen to assist me with every concern I raised with her, all her replies via email to me were always within 24 -36 hours, in my world people do not care how much you know "they only want to know how much you care" I travel the world 3 times a year and have never experienced a more caring Tour Company. Lujan arranged tours for us to Iguazu Falls and El Calfate and Tango Dancing/ dinner show as well as a City tour around Buenos Aires , not only were their pricing cheaper than other companies with the same offering but also very very true to label. Lujan did a fantastic job organising our flights, tour guides on arrival and hotel bookings and showed all the qualities of a true professional at her job. From the minute we arrived in Buenos Aires ( even though our flight was 4 hours late) her representative Marcela (another fantastic and caring person) was there waiting at the airport to greet us and stayed with us to check us into our hotel, specific instructions in relation to departure and pick up time transfers to and from the airport were always spot on, we always felt like VIP's being looked after so well. 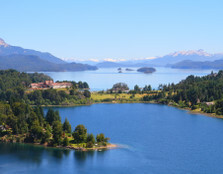 If you are considering a holiday in South America, especially Argentina more so if you cannot speak Spanish then I strongly recommend you give this company an opportunity to offer their services to you. I have already recommended friends to this agency ( also recommended they ask for Lujan especially, as previously mentioned she is a very caring person and excellent at her job) The major question that is always asked is "What can be done better or improved" in my case absolutely nothing, its very difficult to improve on excellence.